The now fondly-regarded Trabant was much ridiculed in its day, in the West at least. Production began in 1957 and ended in 1991. 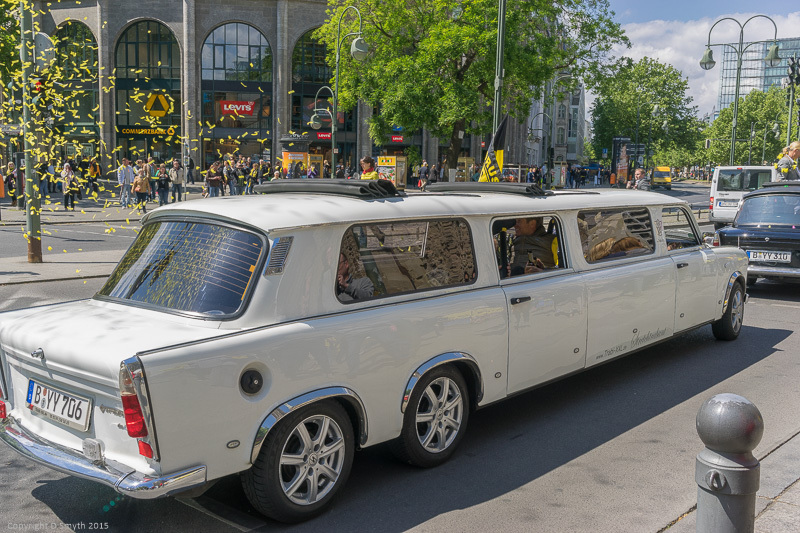 In its day, it was the most common vehicle in East Germany; demand outstripped supply and the East Germans treated their vehicle (once it finally arrived) with great attention and affection, albeit slightly tongue-in-cheek. The cars lasted 28 years on average, possibly a sign of the care that was lavished on them rather than their build quality. When the Wall fell, many East Germans came rolling into the West in their trabis. As a result, this ordinary little car has become a symbol of East Germany and of the fall of the Wall. There is now a museum devoted to them in Berlin, and you can even take a tour of the city in one. If you’re shy and retiring you may want to choose a different mode of transport! These unassuming, little cars have certainly taken on a new lease of life in the run up to their 60th birthday. Linked to Vivid and Pink Saturday. Wat an interesting and informative post. All this news to me. 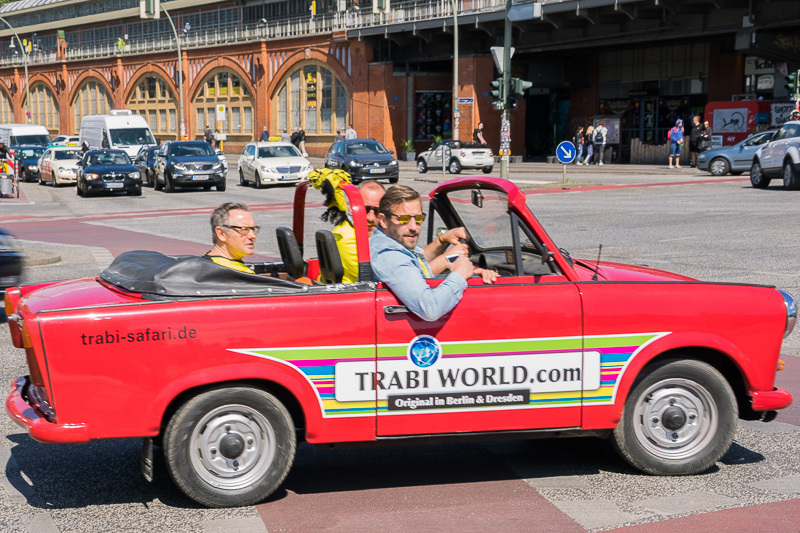 Great post about the Trabi! Go Trabi go! I love the rainbowcoloured one. Very fun, it really makes you smile. Oh wow the limo version looks so odd! 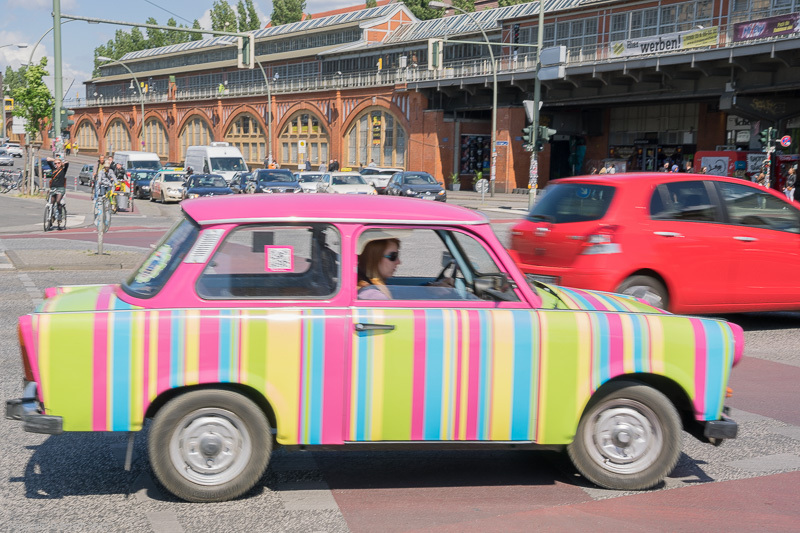 I saw these running about in Berlin and wish I’d taken a Trabi tour! I wanted to but ran out of time – always good to have a reason to return though! Thanks for visiting my blog. My goodness–your content is terrific–cool subject matter.